The saga of Ideal Ice Cream began in the early seventies with the establishment of the mesmeric Ideal Ice Cream Parlour right in the heart of the city by visionary and entrepreneur, S. Prabhakar Kamath. 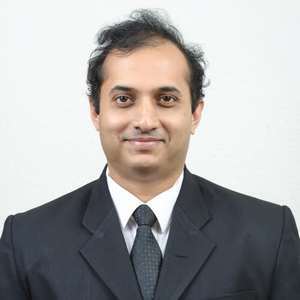 S. Mukund Kamath, who at the tender age of 20 took up the reins. Ever since then, Mukund has taken the brand to a new level, expanding the business, experimenting and exploring new territories. The Ice Cream that first revolutionized the Ice Cream scenario in Mangaluru in 1975 continues to do so until today. The emerging new face of our packaging with its ever vibrant colours and corporate feel reiterates our efforts to not only match up to our customer’s expectation, but exceed it. With a wide assortment of delicious Ice Creams in almost 40+ flavours, we have achieved market leadership status in the category of Flavoured Ice Creams in India. Customer feedback is of utmost importance to us. 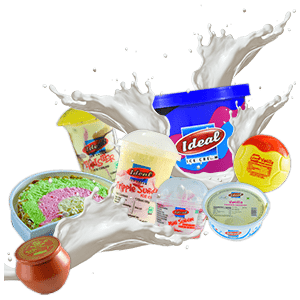 In fact, it has helped us to grow exponentially and to consistently deliver the signature taste of Ideal Ice Cream that you have come to associate with and expect from us. Write in to us to help us grow further. 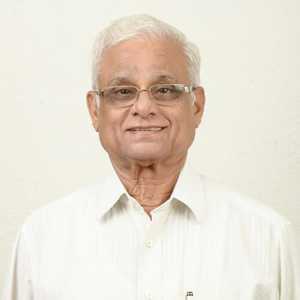 S. Prabhakar Kamath, the founder of Ideal Ice Cream started out in business dealing in general items. Seasonal fluctuations in the business got him thinking on a more secure line of business that would be in demand throughout the year. So, he decided to start an Ice Cream parlour in spite of there being fierce competition in the segment. Setting out to make the best Ice Cream possible, he taught himself the art of Ice Cream making and conducted experiments at home, testing his creations on enthusiastic neighbours. Three months later, he launched Ideal’s Parlour on Market Road in Mangaluru on May 1, 1975 with 14 flavours. The rest is history. In two short years, the Ice Cream that he manufactured so tantalized the taste buds of Mangaloreans that people were willing to wait in queue, just to get a chance to savour the Ice Cream. With the growing demand, expansion was inevitable. Today, Ideal’s has five parlours in Mangaluru city, one of which is the largest Ice Cream parlour in the country. Ideal Ice Cream is also available through 1,500+ dealers. Its retail network also stretches across coastal Karnataka, north Kerala and south Goa. Since the beginning, innovation has been a mainstay of Ideal Ice Cream and the famous Ice Cream concoction ‘Gadbad’ bears testimony to this. Ask anyone what Ideal Ice Cream is most famous for and you will get the answer ‘Gadbad’. So popular is this Ice Cream dessert that it has now become a generic name and imitations of this can be found in almost any Ice Cream parlour in coastal Karnataka. Mr. Kamath’s passion for quality has elevated his Ice Cream brand to an iconic status in coastal Karnataka. A ‘must visit’ place for anyone visiting Mangaluru. Ideal Ice Cream’s unique recipes now extend to 40+ flavours and from them Ideal creates about 175 combinations – each with a distinctive and indulgent taste that makes it a truly outstanding experience. What’s significant about Ideal Ice Cream is that it is 100% vegetarian. No egg is used. Just pure fresh milk, cream and a secret formula that remains within the family. In recent time, Ideal Ice Cream has diversified its product portfolio to include a number of retail products. These include Ice Candies, Chocobars, Ice Lollies, Choconutz, Ice Cream Cones, Ice Cream Sundaes and Cups in a variety of flavours. To this day, Ideal Ice Cream remains committed towards developing exceptional new super premium Ice Cream experiences, releasing new flavours every year. Joined by his son Mukund Kamath, the Ideal brand has grown in leaps and bounds. Mukund has been trained at the Central Food Technology & Research Institute in Mysuru and also at the National Dairy Research Institute of Bangalore. Together they sample every single batch of Ice Cream that comes out of factory. Every industry needs the youthful zest, energy and innovative genius of a gen next entrepreneur to help it take a leap forward. S. Mukund Kamath has infused ingenuity and a contemporary feel into the Ice Cream industry of the coastal city of Mangaluru. Mukund inherited a thriving Ice Cream business from his father S. Prabhakar Kamath, who started the now well-known Ideal Ice Cream Parlour in the city in the seventies. It is to Mukund’s credit that he expanded the business and charted it into new territories. A Science Graduate from Canara College, Mangaluru, Mukund went on to specialize in the culinary arts at the Central Food Technology & Research Institute (CFTRI) in Mysuru, which stood him in good stead when he made the leap into the area of snacks and food production. The training which he underwent at National Dairy Research Institute, Bengaluru empowered him to innovate in the core area of the family business, that of Ice Cream manufacturing. Mukund took up the reigns of the business at the tender age of 20. He was instrumental in starting a state-of-the-art Ice Cream manufacturing unit in 2003 and successfully expanded markets in coastal Karnataka, south Goa and north Kerala. Pabba’s, the most visited artisanal Ice Cream parlour of coastal Karnataka, which serves a range of Ice Cream sundaes made using fresh ingredients, is Mangaluru’s jewel. Mukund can rightfully take pride in opening an enterprise such as Pabba’s in 1996. The famed ‘Ideal Café’ of the city is his brainchild, which he initiated in 2011. Perhaps his well-rounded personality provides him the impetus to foresee trends and steer the business towards accomplishment and growth. Mukund is a trained Hindustani classical musician and a sportsman as well. It is no wonder that he has been felicitated on being a young entrepreneur by several institutions of repute such as The Campco Ltd. and The Karnataka Pradesh Hotels Association.